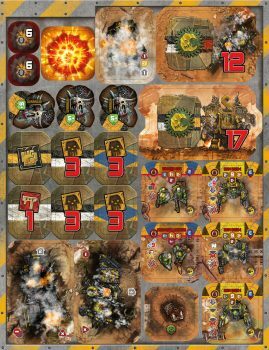 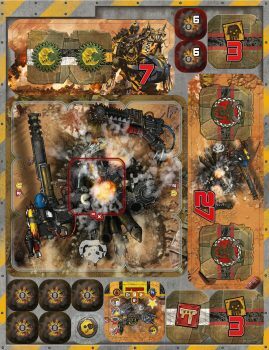 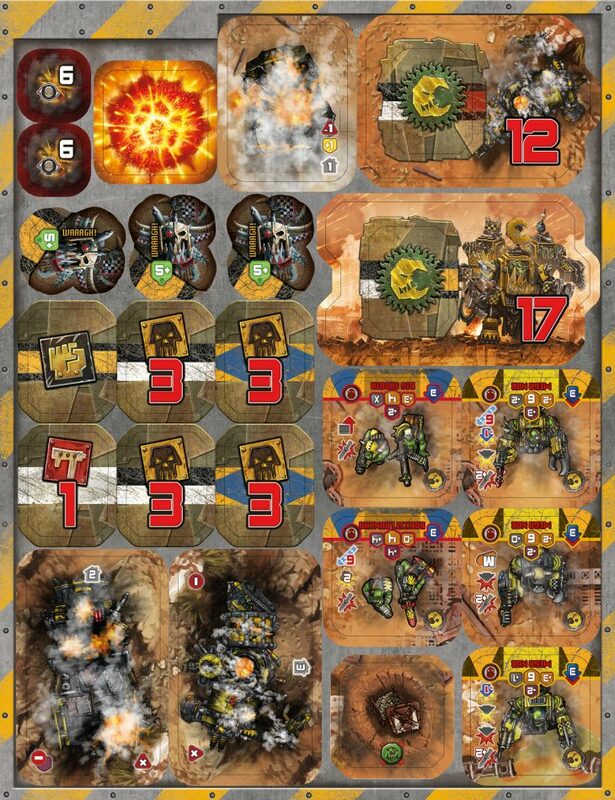 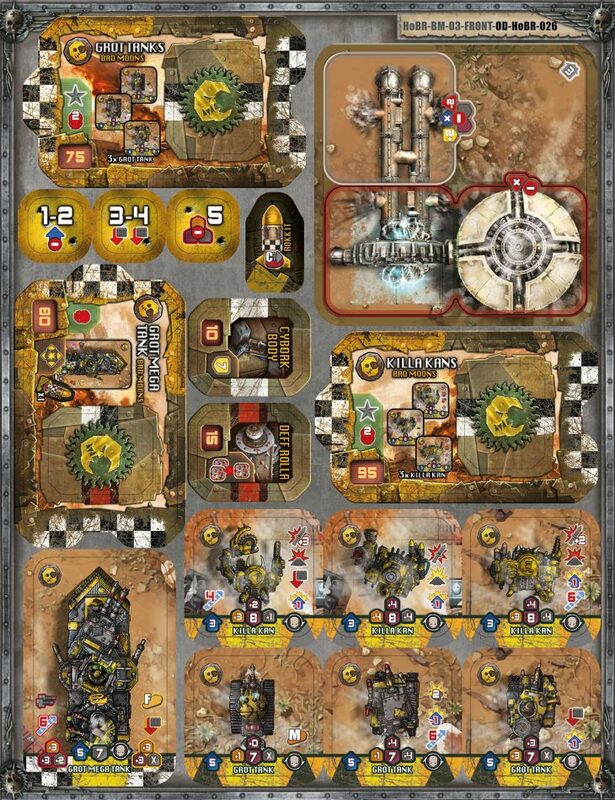 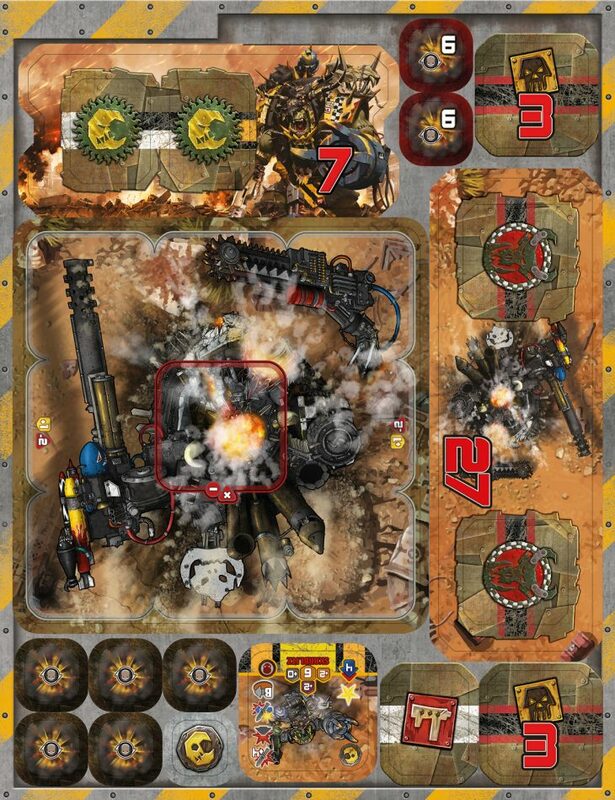 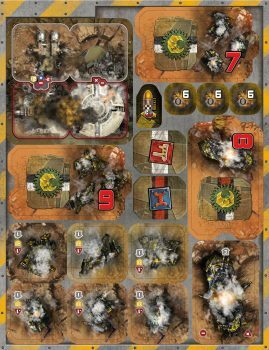 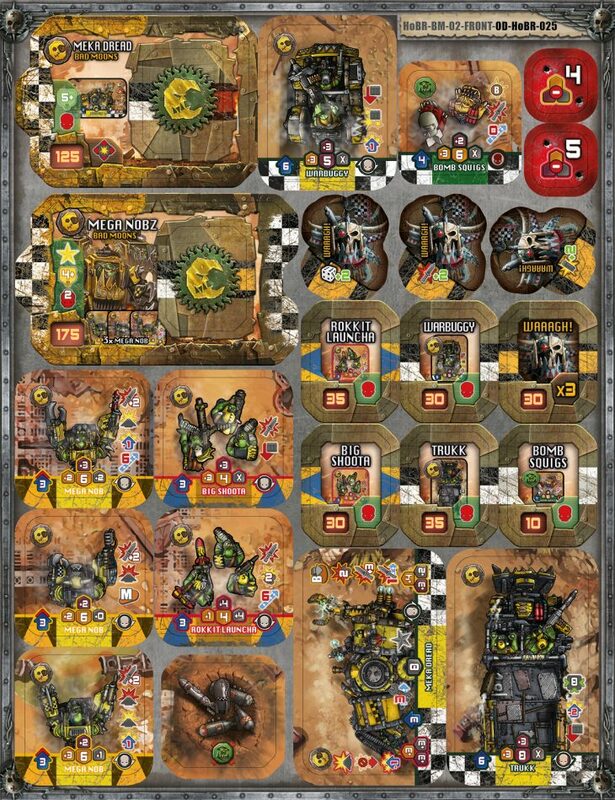 After the Battleground Set preview, we’ll now show you the 3 punchboards of the Bad Moons blister, also available in the upcoming pre-order. 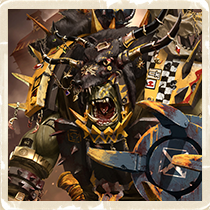 I’ll let you discover these troops, joining the ranks of the Bad Moon clan under command of Warboss Skarblitz, as well as the Stompa, the first Titan in the range! 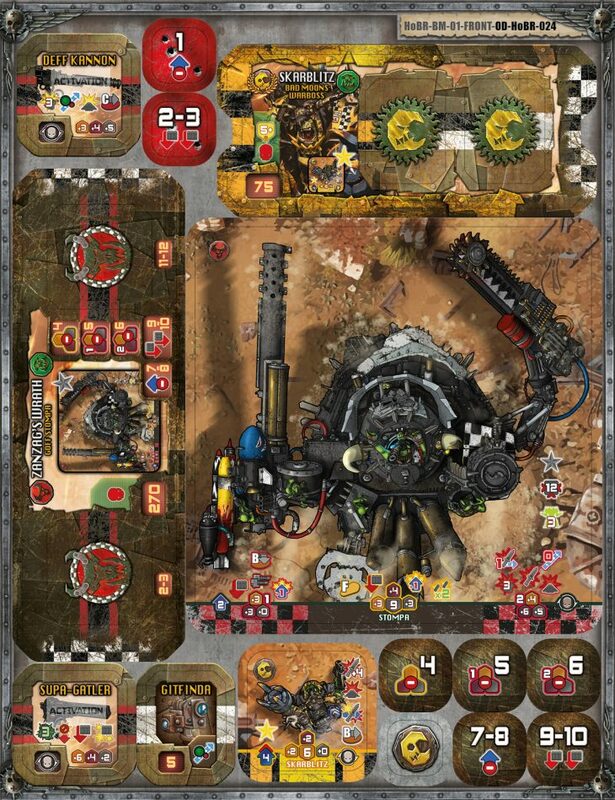 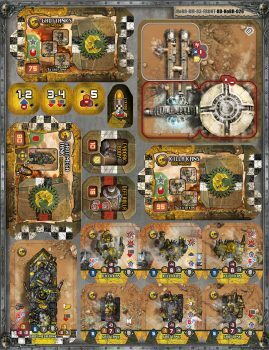 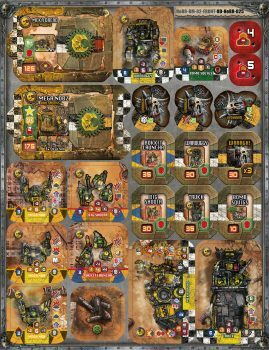 Next to these three punchboards, this expansion also contains a set of 10 Order Tokens and 2 dice in the Bad Moon clan colors.